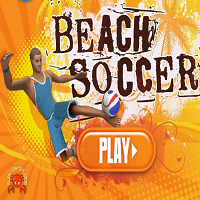 Beach Soccer is a very funny football style. This game is very realistic football game with 3d Graphics. Control your players, defense your goalpost and attack to other goalpost.